Atari is a corporate and brand name owned by several entities since its inception in 1972. It is currently owned by Atari Interactive, a wholly owned subsidiary of the French publisher Atari, SA . 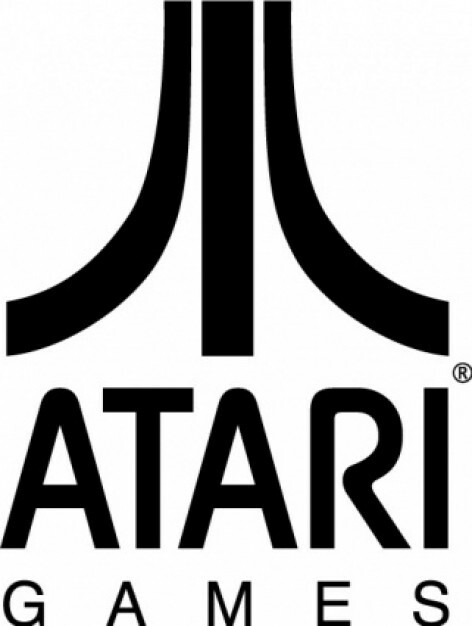 The original Atari, Inc. was founded in 1972 by Nolan Bushnell and Ted Dabney. It was a pioneer in arcade games, home video game consoles, and home computers. The company's products, such as Pong and the Atari 2600, helped define the computer entertainment industry from the 1970s to the mid 1980s. In 1984, the original Atari Inc. was split, and the arcade division was turned into Atari Games Inc. Atari Games received the rights to use the logo and brand name with appended text "Games" on arcade games, as well as rights to the original 1972 - 1984 arcade hardware properties. The Atari Consumer Electronics Division properties were in turn sold to Jack Tramiel's Tramel Technology Ltd., which then renamed itself to Atari Corporation. In 1996, Atari Corporation reverse merged with disk drive manufacturer JT Storage , becoming a division within the company. In 1998, Hasbro Interactive acquired all Atari Corporation related properties from JTS., creating a new subsidiary, Atari Interactive. IESA bought Hasbro Interactive in 2001 and renamed it to Infogrames Interactive. IESA changed the company name entirely to Atari Interactive in 2003. The company that currently bears the name Atari Inc. was founded in 1993 under the name GT Interactive. IESA acquired a 62% controlling interest in GT Interactive in 1999, and renamed it Infogrames, Inc. Following IESA's acquisition of Hasbro Interactive, Infogrames, Inc. intermittently published Atari branded titles for Infogrames Interactive. In 2003, Infogrames Inc. licensed the Atari name and logo from Atari Interactive and changed its name to Atari Inc. On October 11, 2008, Infogrames completed its acquisition of Atari, Inc., making it a wholly owned subsidiary. In 1971, Nolan Bushnell and Ted Dabney founded an engineering firm, Syzygy Engineering, that designed and built the first arcade video game - Computer Space for Nutting Associates. On June 27, 1972 Atari, Inc. was incorporated and soon hired Al Alcorn as their first design engineer. Bushnell decided to have Alcorn produce as a test of his abilities, an arcade version of the Magnavox Odyssey's Tennis game, which would be named Pong. While Bushnell incorporated Atari in June 1972, Syzygy Company was never formally incorporated. Before Atari's official incorporation, Bushnell wrote down several words from the game go, eventually choosing atari, a term which in the context of the game means a state where a stone or group of stones is imminently in danger of being taken by one's opponent. In Japanese, atari is the nominalized form of ataru , meaning "to hit the target" or "to receive something fortuitously". The word 'atari' is used in Japanese when a prediction comes true or when someone wins a lottery. The choice of Atari as a brand name was arguably better than Syzygy for most markets in terms of spelling, pronunciation and potential name recognition. Atari was incorporated in the state of California on June 27, 1972. In 1973, Atari secretly spawned a "competitor" called Kee Games, headed by Nolan's next door neighbor Joe Keenan, to circumvent pinball distributors' insistence on exclusive distribution deals; both Atari and Kee could market the same game to different distributors, with each getting an "exclusive" deal. Though Kee's relationship to Atari was discovered in 1974, Joe Keenan did such a good job managing the subsidiary that he was promoted to president of Atari that same year. In 1976, Bushnell, through a Grass Valley, CA. engineering firm — Cyan Engineering, started an effort to produce a flexible video game console that was capable of playing all four of Atari's then-current games. The result was the Atari Video Computer System, or "VCS" . Bushnell knew he had another potential hit on his hands, but bringing the machine to market would be extremely expensive. Looking for outside investors, in 1976 Bushnell sold Atari to Warner Communications for an estimated $28 – $32 million, using part of the money to buy the Folgers Mansion. Nolan continued to have disagreements with Warner Management over the direction of the company, the discontinuing of the Pinball division and most importantly, he felt that the Atari 2600 should be discontinued. In 1978, the Kee Games brand was dropped. In December of that year during a heated argument between Nolan Bushnell and Manny Gerard, Bushnell was fired. A project to design a successor to the 2600 started as soon as the system shipped. The original development team estimated the 2600 had a lifespan of about three years, and decided to build the most powerful machine they could, given that time frame. Midway into the effort's time-frame, the home computer revolution was taking off, so the new machines were adapted, with the addition of a keyboard and various inputs, to produce the Atari 800, and its smaller cousin, the 400. Although a variety of issues made them less attractive than the Apple II for some users, the new machines had some success when they finally became available in quantity in 1980. In 1982, the Atari 5200 was released, based heavily on the 400 and 800 models, but without a keyboard. Under Warner, Atari Inc. achieved its greatest success, selling millions of 2600s and computers. At its peak, Atari accounted for a third of Warner's annual income and was the fastest-growing company in the history of the United States at the time. However, Atari Inc. ran into problems in the early 1980s. Its home computer, video game console, and arcade divisions operated independently of one another and rarely cooperated. Faced with fierce competition and price wars in the game console and home computer markets, Atari was never able to duplicate the success of the 2600. These problems were followed by the infamous video game crash of 1983, with losses that totaled more than $500 million. Warner's stock price slid from $60 to $20, and the company began searching for a buyer for its troubled division. In 1983, Ray Kassar was forced to leave Atari over an insider stock trading sale, and executives involved in the Famicom lost track of the negotiations, and the deal eventually died. With Atari's further financial problems and the Famicom's runaway success in Japan after its July 16, 1983 release date, Nintendo decided to go it alone. Financial problems continued to mount and Ray's successor, James J. Morgan, had less than a year in which to tackle his predecessor's problems, he began a massive restructuring of the company and worked with Warner Communications in May 1984 to create "NATCO" which stood for New Atari Company which would further lean the company facilities, personnel and spending and make the company profit. Unknown to James Morgan and the senior management of Atari, Warner had been in talks with Tramel Technology to buy Atari's Consumer electronics and Home Computer divisions. Negotiating up until close to midnight of July 1, 1984 Jack Tramiel purchased Atari. Warner sold the home computing and game console divisions of Atari to Jack Tramiel for $50 cash and $240 million in promisary notes and stocks, giving Warner a 20% stake in Atari Corporation who then used it to create a new company under the name Atari Corporation. Warner retained the arcade division, continuing it under the name Atari Games, but sold it to Namco in 1985. Warner also sold the fledgling Ataritel to Mitsubishi. Under Tramiel's ownership, Atari Corp. used the remaining stock of game console inventory to keep the company afloat while they finished development on a 16/32-bit computer system, the Atari ST. ("ST" stands for "sixteen/thirty-two", referring to the machines' 16-bit bus and 32-bit processor core.) In April 1985, they released the first update to the 8-bit computer line — the Atari 65XE, the Atari XE series. June 1985 saw the release of the Atari 130XE, Atari User Groups received early sneak-preview samples of the new Atari 520ST's, and major retailer shipments hit store shelves in September 1985 of Atari's new 32-bit Atari ST computers. In 1986, Atari launched two consoles designed under Warner — the Atari 2600jr and the Atari 7800 console . Atari rebounded, earning a $25 million profit that year. In 1993, Atari positioned its Jaguar as the only 64-bit interactive media entertainment system available but it sold poorly. In October 2001 Infogrames announced that it was "reinventing" the Atari brand with the launch of two new games featuring a prominent Atari branding on their boxarts : Splashdown and MX Rider. On May 7, 2003, Infogrames had its majority-owned, but discrete US subsidiary Infogrames NA officially renamed Atari, Inc., renamed its European operations to Atari Europe but kept the original name of the main company Infogrames Entertainment. The original Atari holdings division purchased from Hasbro, Atari Interactive, was also made a separate corporate entity. In November 2006, Krome Studios had acquired Melbourne House from Atari and that the studio would be renamed to Krome Studios Melbourne. On November 13, 2007, The US division announces to exit the game development business to concentrate solely on publishing and distribution. On March 6, 2008, Infogrames made an offer to Atari Inc. to buy out all remaining public shares for a value of $1.68 per share, or $11 million total. The offer would make Infogrames sole owner of Atari Inc., thus making it a privately held company. On April 30, 2008, Atari Inc. announced its intentions to accept Infogrames' buyout offer and to merge with Infogrames. On October 11, 2008, Infogrames completed its acquisition of Atari Inc., making it a wholly owned subsidiary. On December 9, 2008, Atari announced that it had acquired Cryptic Studios, an MMORPG developer. Namco Bandai has purchased a 34% stake in Atari Europe on May 14, 2009, paving the way for its acquisition from Infogrames. Atari has had significant financial issues for several years now, posting losses in the tens of millions since 2005. In May 2009 Infogrames Entertainment, SA, the parent company of Atari Inc. and Atari Interactive Inc., announced it would be changing Infogrames' name to Atari, SA. In April 2010, Atari board member and former CEO David Gardner resigned. His replacement is Atari co-founder Nolan Bushnell. Whole or part of the information contained in this card come from the Wikipedia article "Atari", licensed under CC-BY-SA full list of contributors here.